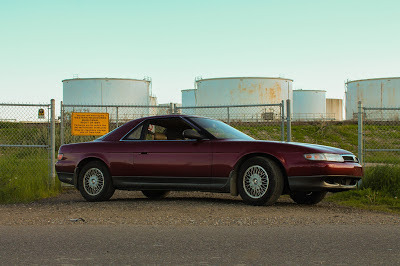 Most JDM cars have a North American equivalent. A 300ZX is like a more high-tech version of a Chevy Corvette and with six cylinders, two turbos and seating for two people (and two drawfs), the Supra is very like a contemporary 911 Turbo. However, the 1991 Mazda Eunos Cosmo featured today doesn't really have an equivalent from across the pond. 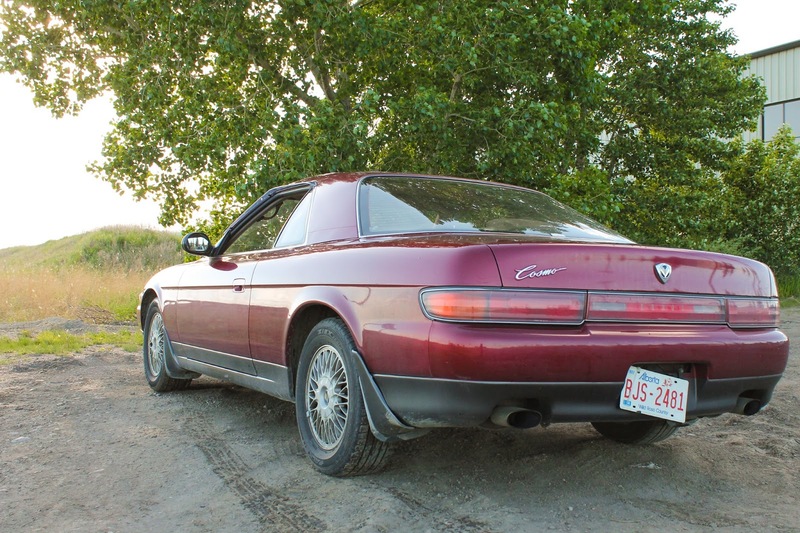 Mazda had two funky sub-brands going on in the early '90's. 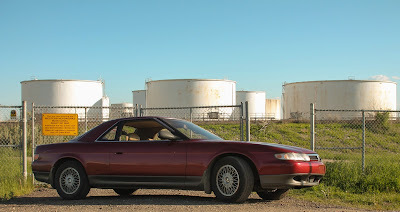 Autozam was for their fun, bite-size kei cars like the ingenious AZ-1, and the Eunos brand was for high end and sporty cars like the famous Roadster (Called the Miata in North America) and a few other cars. The Cosmo has been Mazda's rotary powered flagship since 1967. The car had evolved through four generations by 1991 but at it's core, the Cosmo was still a sporty, rotary powered grand touring car at the top of Mazda's line up. 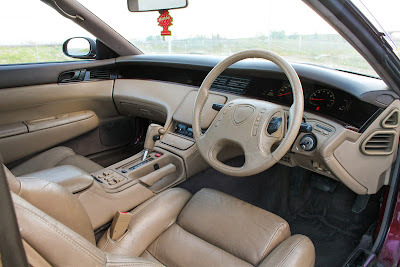 The interior of the Cosmo is clearly not that of an outright sports car. The softly illuminated and leather-lined interior is a comfy place to be on long journeys. 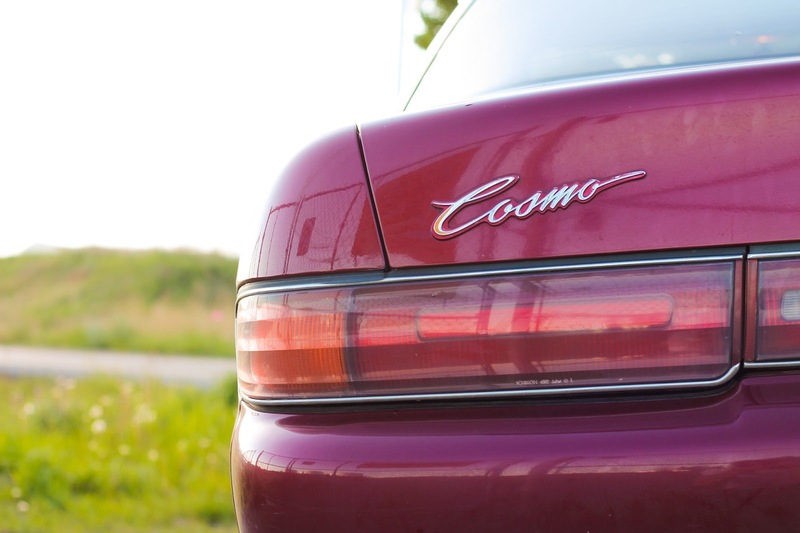 Despite it's sporting looks and grand touring nature, the fourth generation Cosmo was never offered with a manual transmission. The Cosmo was also the first production car in the world to be sold with an available integrated GPS unit. The Cosmo had two available engines and both were strange and intriguing. 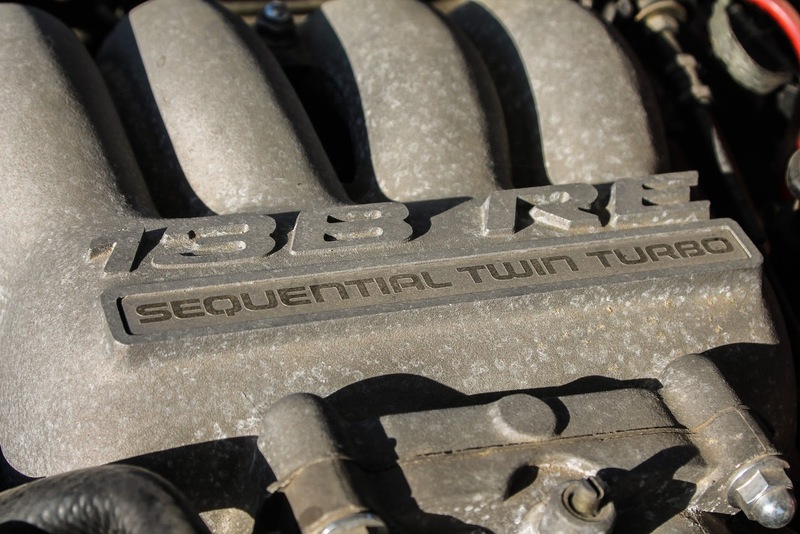 Most cars came with the 235 horsepower twin rotor twin-turbo 13B. 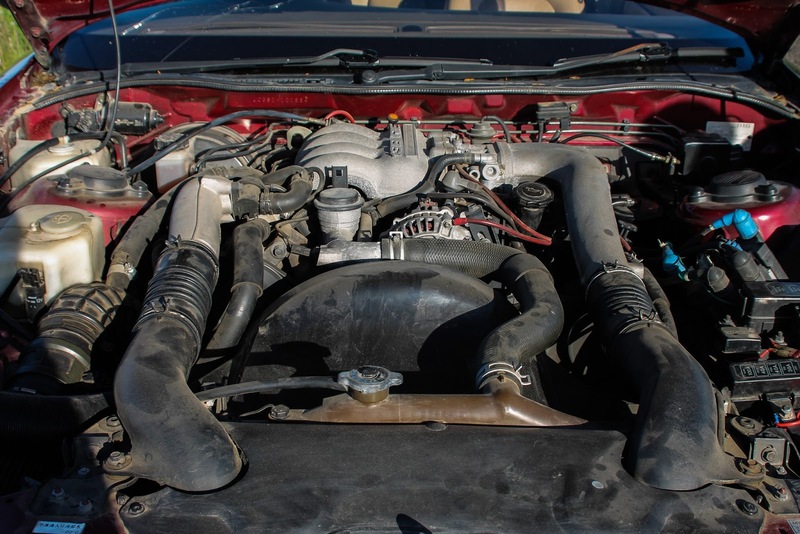 Our feature car was optioned with this engine which also powered the FD RX-7. The other engine was the spectacular 20B three-rotor. Supported by twin turbochargers, the 20B was good for 300 horsepower and an impressive 280 lb/ft of torque at only 1,800 RPM. This rare engine is highly prized among drifters and rotary engine builders and remains the only production three-rotor engine. The Cosmo would always be an oddball. 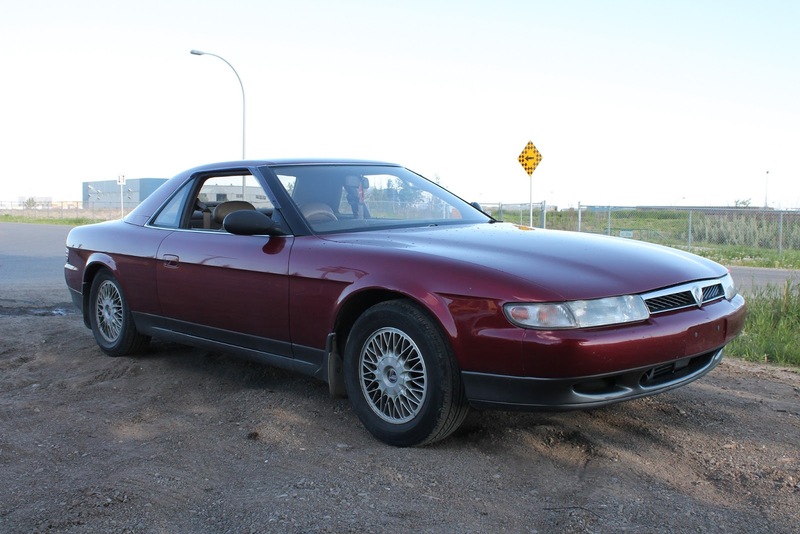 It wasn't as sporty as a Skyline or Supra but conversly, wasn't as formal as an Aristo sedan. Maybe a good North American equivalent would be a more high-tech version of the Ford Thunderbird. Grand touring aspirations with a sporty body and an aesthetically pleasing interior. But Cosmos have been odd little cars since 1967. And in that sense, the fourth generation Cosmo does an excellent job carrying the flame. It looks so good, but... in a good way, I think. I'm getting nostalgic just looking at it.